Part 1: What is Reddit? If you read the two previous parts of this special feature, you now realize how Reddit can be the perfect platform to reach very specific audiences. However, as previously stated, Reddit is not fond of marketing campaigns. With keeping that in mind, there is still a few Redditor-approved ways of talking about your brand on the popular social media site. Reddit’s main marketing use is to learn about and interact with an already engaged community. Redditors speak freely. If they talk about your brand, it is a great opportunity to gain insight and, in some cases, interact with them. While working with Fjällräven, we discovered that the brand was mostly mentioned in different subreddits about clothing and outdoor living. People were usually very satisfied with their products so this gave us the opportunity to jump in select conversations and answer questions that Redditors had. Reddit’s Ad program is getting much better than before. You can create a whole campaign of different sponsored posts that will appear wherever you want. You can target specific subreddits or, just like in Adwords, narrow your audience by interests and demographics. The option to target specific subreddits is particularly interesting because, if you did your homework correctly, you will know exactly where your target audience interacts the most. This sponsored post appears in between regular posts on the Reddit mobile website. It is very important to know that, for now, you can’t target Reddit’s mobile app. We know that the majority of Reddit’s traffic comes from mobile sources, so it is very important to keep in mind the mobile aspect of your strategy. Reddit launched its mobile app in April of 2016 and, since then, it has been downloaded over 5,000,000 times on Android. This statistic, combined with the fact that a pop-up on the mobile site promotes app downloads, makes us believe that most of the mobile traffic on Reddit is through the application. Also, if you want to target specific locations, know that Reddit does not let you target cities outside of the US. You can target countries, but not cities. If you want to target our beautiful province, you will have to target Canada and, maybe, subreddits like r/Montreal or r/Quebec. On desktop, your ad will appear on top of your audience’s front page. Redditors will also have the opportunity to comment directly on your ad. This creates a great opportunity for you to get direct feedback and interact with your audience. Another way of promoting your brand on Reddit is a well crafted Ask Me Anything. This subreddit, r/iAMA, is a platform where a Redditor can present himself and other users may ask him anything they want. Often used by the cinema or science and technology industries, the AMAs are a great way of promoting your brand. You will have greater success within these forums if your brand is represented by a well-known spokesperson or ambassador, you have been in the news recently or if you want to start a conversation about a hot topic. As previously stated, AMA means Ask Me Anything. Shying away from tough questions will only attract the attention of Redditors and can quickly turn your AMA into a disaster. The greatest example of this was Woody Harrelson’s AMA back in 2012. When Mr. Harrelson started dodging questions unrelated to the movie he was trying to promote, things went awry. The lesson here is that on Reddit, you need to be completely transparent. If you are, it will be a great platform to promote whatever you want, but don’t try to market to Reddit like any other media. Other ways to promote your brand would be through the classics: giveaways and contests. By reading the rules and contacting the moderators of a subreddit, you will be able to figure out what your targeted subreddit allows. You can also look at the Gift Exchange program. These exchanges match you to another Redditor and allow you to prepare a gift for that person. Someone will also be assigned to you. The Canadian branch of Fjällräven did the exchange last year and received a truly amazing gift. This gift gave them the occasion to post on r/SecretSanta and show a little bit of their company’s culture. This gift exchange could not have turned out better: they gave back to the community and as an added bonus, received support for a cause they hold near and dear. 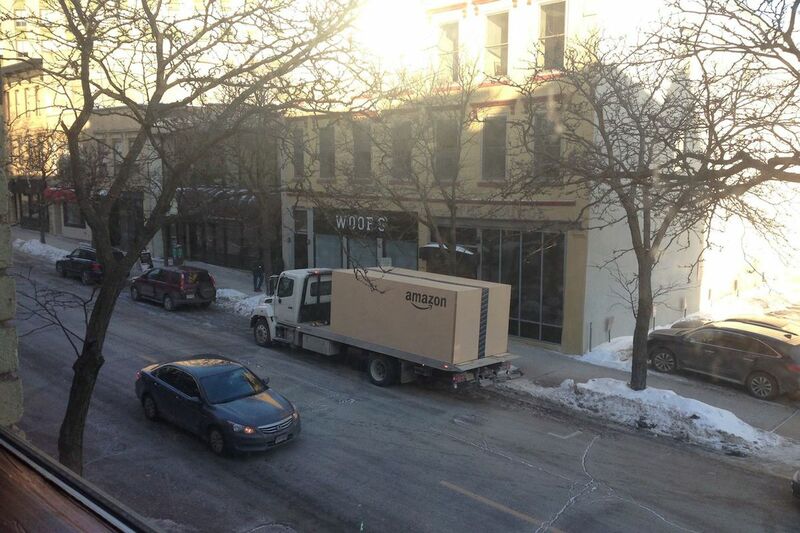 In order to promote the Versa Note, first car available to order through Amazon, Nissan turned to Reddit. Asking Redditors what they would like to order from Amazon, Nissan began sending requested items to selected commenters. For the big finale, they delivered a boxed Versa Note to a lucky winner. A Redditor captured the delivery and the story made it to the front page of Reddit. When Samsung failed to answer a customer’s complaint on Reddit. After the Redditor’s phone was burnt and melted, Samsung promised a new device but, a month later, the company had not sent anything. HTC jumped in and offered a new phone to the Redditor and if ever he received the Samsung phone, he would have to auction it off and donate the money to charity. The community really appreciated that HTC added to the conversation and even solved a Redditor’s problem. A lot of famous actors, directors and Hollywood celebrities tend to promote their projects through Reddit’s AMA. More often than not, if the celebrity doesn’t focus too much on marketing, it goes really well. Famous examples, like the “Morgan Freeman” AMA or the Woody Harrelson one, prove that doing an AMA for the wrong reasons won’t help your brand, it will actively hurt you. On the other hand, when you take the time to answer the most upvoted questions, don’t shy away from tough ones and let the users engage in conversation, everything will go smoothly. Val Kilmer understood that very well and so did Gerard Butler. Val Kilmer received over 19,000 upvotes and 2,000 comments whereas Gerard Butler received over 3,000 upvotes and 5,000 comments. Mr. Butler even took the time to post a thank you video on Youtube to express his gratitude towards Redditors. Hollywood proved that there is a good and a bad way for each industry to market on Reddit. Now you just need to ask yourself if you want to take the time to do it right or phone it in. As you probably understood, Reddit is a difficult platform to crack. However, Redditors are devoted and if they accept a brand, they will encourage it. First of all, create a personal account and start lurking the website on a regular basis. Each subreddit has its own set of rules and codes. Once you have something to add to the conversation, submit some posts and make comments. Make sure that all of your contributions add value to the conversation. Redditors hate reposts and useless shares. Also, Reddit can be hard to browse. Take the time to search for the perfect subreddits and focus on them. Don’t be a marketer, be someone passionate about what you’re selling. As previously stated, Reddit hates cheap marketing efforts (like the famous Woody Harrelson fiasco) so be 100% honest and transparent. If you can’t, try lurking and answering the posts and comments about your company instead of submitting. Your efforts should consist of one submitted link and maybe, if appropriate, a follow-up one. If your post doesn’t get traction, you can try a different strategy in a few months, but don’t try the next day with the exact same post. Reddit is a great place for completely honest feedback: try to use it to your advantage. Etienne est analyste en relations en ligne et médias sociaux. Il poursuit présentement ses études à l'UQAM en gestion, marketing et médias sociaux. Chandal on WTF is Native Advertising? Says you…STILL! The Digg Toolbar Exposed; What’s in the code? Are The Best Minds of Our Generation Being Wasted On Optimizing Ad Revenue?